Is your little one ready to go into the night to save the day? Well, you'll have to make sure they're fully prepared to take down some Nighttime Villains, and that all starts with the right outfit. 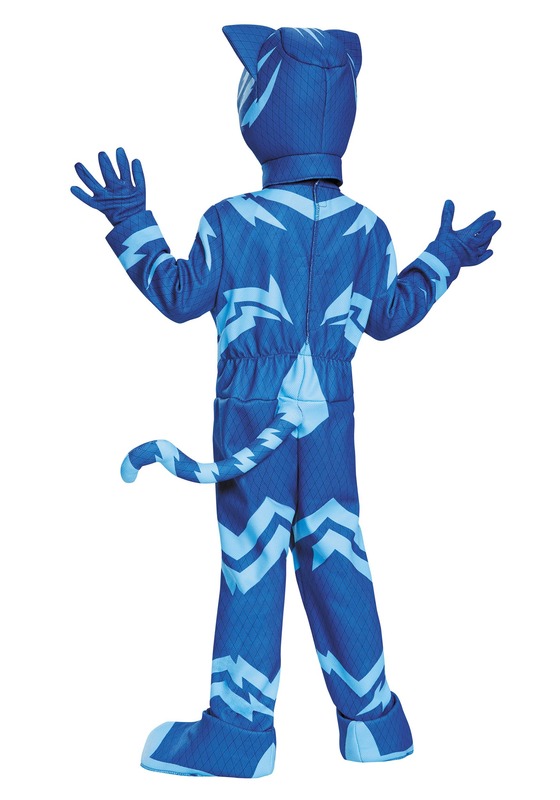 Once your kiddo throws on this officially licensed Catboy Costume, he can be the leader of the PJ Masks superhero trio! When the transformation is complete your knee-high hero can use his super-hearing to help stop crimes from miles away with his new set of Cat Ears! If the super-amplified hearing isn't enough to take down the baddies then he can use his Super Cat Jump and Super Cat Speed to give him amazing acrobatic abilities and even more impressive agility! No evil-doers will be able to run away from justice when your masked hero is the one serving it. Once the little one teams up with Owlette and Gekko, all three of them can cruise around town in the Cat Car and take down Romeo's latest evil invention or Night Ninja's hoard of minions, the Ninjalinos! 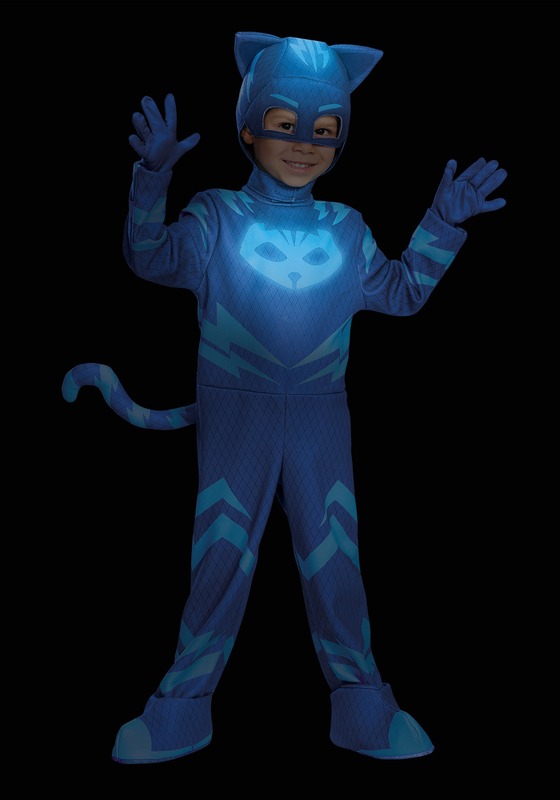 If your tiny crime-fighter is lucky, maybe Luna Girl will choose to team up with him and the rest of the PJ Masks, if not then, oh well, what's one more villain to defeat before sunrise? Nothing but another night on the job for your super-kiddo! 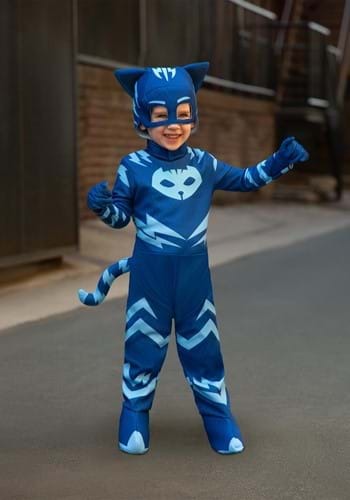 If your little one has a desire to put a stop to the evil in your neighborhood as well as having a mild case of aquaphobia, then he sounds like the perfect candidate to take on the role of Catboy and the position of leader of the PJ Masks! 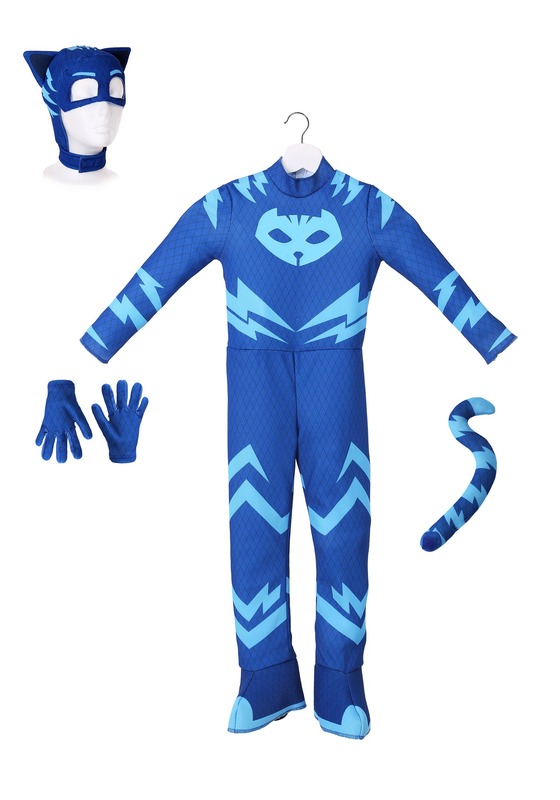 Help him start his heroic path when you grab him this Deluxe PJ Masks Catboy Costume!